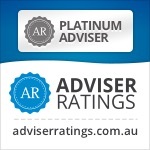 I get enquiries from so many people now with holdings from an employee share scheme or listings such as IAG (the old NRMA) , CBA, Telstra and now Medibank Private who wish to simplify the shares held in their own personal names as they approach 65 so they don’t have to do a tax return for themselves in retirement. One option often considered is making an in specie transfer to your SMSF. In specie is the process of transferring shares, business real property or managed funds without selling the underlying investment. An in-specie contribution occurs when a member transfers ownership of an asset they own to the SMSF. In this case, the capital value of the fund has increased and the increase in value is considered a contribution for the member whose member balance has grown. While most superannuation funds can accept in-specie contributions, it occurs far more commonly with SMSFs than with industry or retail superannuation funds. An in-specie contribution is considered an acquisition from a related party and such acquisitions are generally prohibited, listed shares, managed funds and business real property are exceptions to the general prohibition for in-specie contributions. The transfer of the asset will be deemed to be a disposal for the member and any gain realised by the member may be subject to CGT, though there may be some concessions, particularly where the property was used in their own business or that of an associate. If self-employed or able to claim a tax deduction for contributions then some of the transfer can be considered as a Concessional Contribution. you should run the strategy past your adviser before implementing it to work out the CGT and the best way to minimise it. In addition, it is not necessary that the entire value of an asset transferred to an SMSF be considered a contribution and this is particularly beneficial where the value of the asset is greater than the contribution caps available to the contributors. For example, if a commercial property, lets say a shop, valued at $1,200,000 was to be transferred to an SMSF by a husband and wife and its entire value was considered a contribution, it could result in an excess non-concessional contribution of $600,000. To avoid this outcome, we could treat 2 x $300,000 of the transfer as a contributions for the husband and wife using the full cap of the 3-year Bring Forward Rule and the remainder as a sale. The SMSF would have to transfer $600,000 of cash or other assets to effect the sale on that portion of the property. 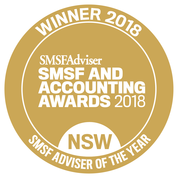 For shares most SMSF investors have a CHESS sponsored account so you should ask your broker for their Standard Transfer Form for Off Market Transactions. In addition, assets can also be transferred out of the fund as in-specie payments though importantly, only lump sum payments can be made in-specie. Pension payments have to be made in cash. The rules on acquisitions from related parties do not apply to these transactions as the SMSF is disposing of the asset, not acquiring it. Some clients buy a coastal house or city apartment in their SMSF as an investment while they are working but with an eye to moving in to it when they retire. To do so they must take it out of the fund on retirement. Often they will use the funds from the sale of their home on retirement to buy the property from the fund but the option is there to take the property out as a lump sum in specie transfer if timing makes a purchase strategy unsuitable.